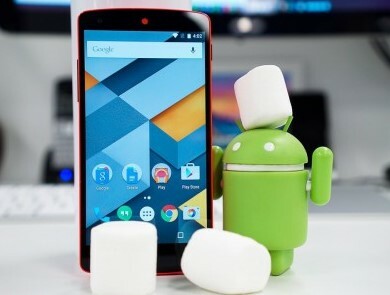 This Monday, Google has finally released Android 6.0 Marshmallow. The update is available for the Nexus 5 and 6, the Nexus 7 tablet (2013) and 9, as well as media player Nexus Player. If you do not take the risk and put the image of the new operating system manually, you can now update via OTA-firmware version without losing their data and installed applications. At the moment, so the owners can upgrade the Nexus 7 tablet and 9, but soon there will be firmware and other supported devices. Nexus July 2013 LTE (with LMY48P to MRA58K). Installing the update OTA-through ADB. If you do nothing says you have never engaged in this, it is best to wait until your device is upgraded to “over the air”, what will happen in the near future.